NEW YORK, April 23 -- Corliss Williamson of the Detroit Pistons today was named the winner of the 2001-02 NBA Sixth Man Award, honoring the league’s premier player in a reserve role. Williamson received 56 of a possible 125 votes from a panel of sportswriters and broadcasters throughout the United States and Canada. Bobby Jackson of the Sacramento Kings finished second with 30 votes and Quentin Richardson of the Los Angeles Clippers was third with 20 votes. Williamson averaged 13.6 points, 4.2 rebounds, 1.2 assists and 21.8 minutes while coming off the bench in 71 of the 78 games he played this season. Williamson flew past the competition to earn his first Sixth Man Award. 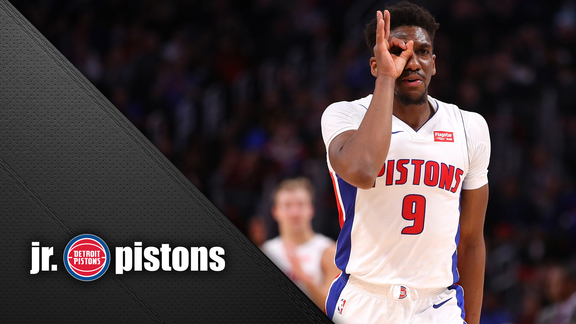 Williamson, in his eighth NBA season, helped lead the Pistons to their first Central Division championship since 1990 and a return to the playoffs after a two-year absence. He was third on the team in points per game, ranked seventh in the NBA in field goals made per 48 minutes (11.6) and finished ninth in the NBA in both field goal percentage (.510) and points per 48 minutes (30.0). A native of Russellville, Ark., Williamson was selected by the Sacramento Kings with the 13th pick of the 1995 NBA Draft. He played five seasons in Sacramento before being traded to the Toronto Raptors for Doug Christie prior to the 2000-2001 season. Williamson joined the Pistons on Feb. 22, 2001 when he, Tyrone Corbin, Kornel David and a future first-round draft choice were sent to Detroit for Jerome Williams and Eric Montross. Williamson is the first Detroit Pistons player ever to win the NBA Sixth Man Award. The 125-member voting panel consisted of 38 national media members and three media members who cover the NBA regularly from each of the league’s 29 teams.